Hi! 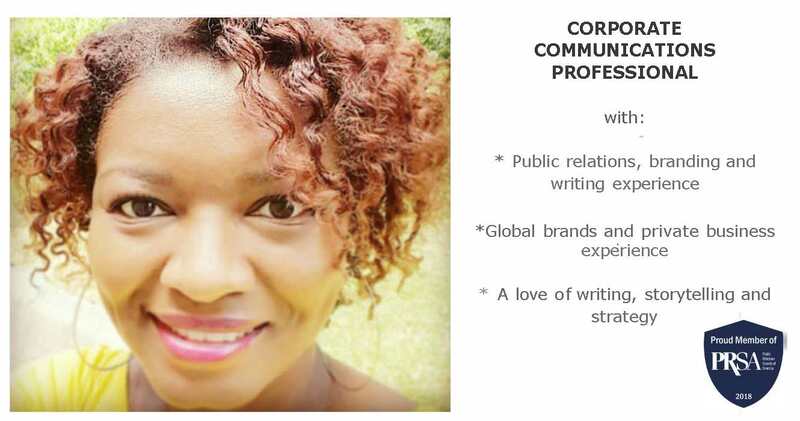 I’m Towanda–corporate communications professional. My love of communications and strategy started young. While most kids were excited for the latest toy, I was stoked for office supplies. Yes, notebooks had as much weight as a Strawberry Shortcake doll. It’s no wonder I was attracted to corporate communications. Public relations, branding and writing were in me before I knew they were options. Many years later I’ve been fortunate to work on great campaigns for both consumer and business-to-business brands. Twice I’ve been the first dedicated communications associate for an organization. Whether it’s writing marketing and communications pieces, creating integrated campaigns for internal and external audiences, or something else, I find great joy in creating solutions that work. Along with a career I love, I volunteer with Public Relations Society of America (PRSA), serving on the Charlotte Chapter’s board, and nationally as both a Silver Anvil Judge and executive committee member for the Corporate Communications section. Outside of work you’ll find me spending time with great people, traveling, enjoying good food and watching old TV sitcoms.